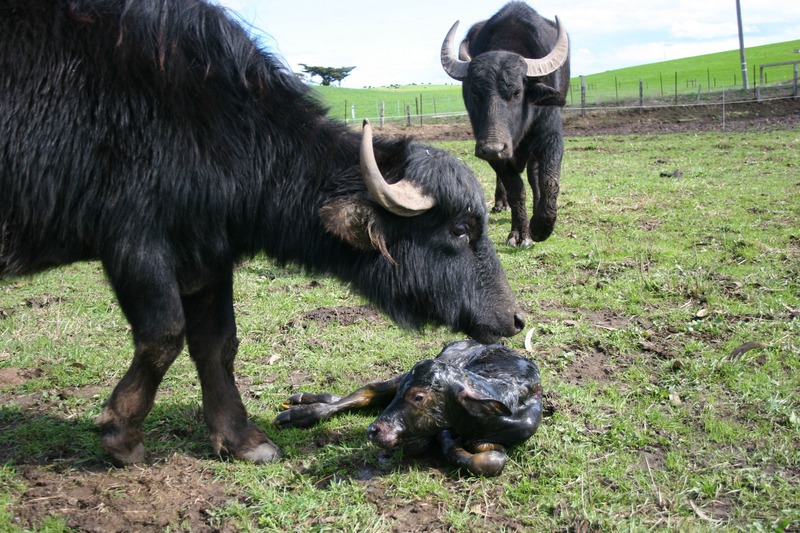 And like moms everywhere, water buffalo are always thinking first of their babies. 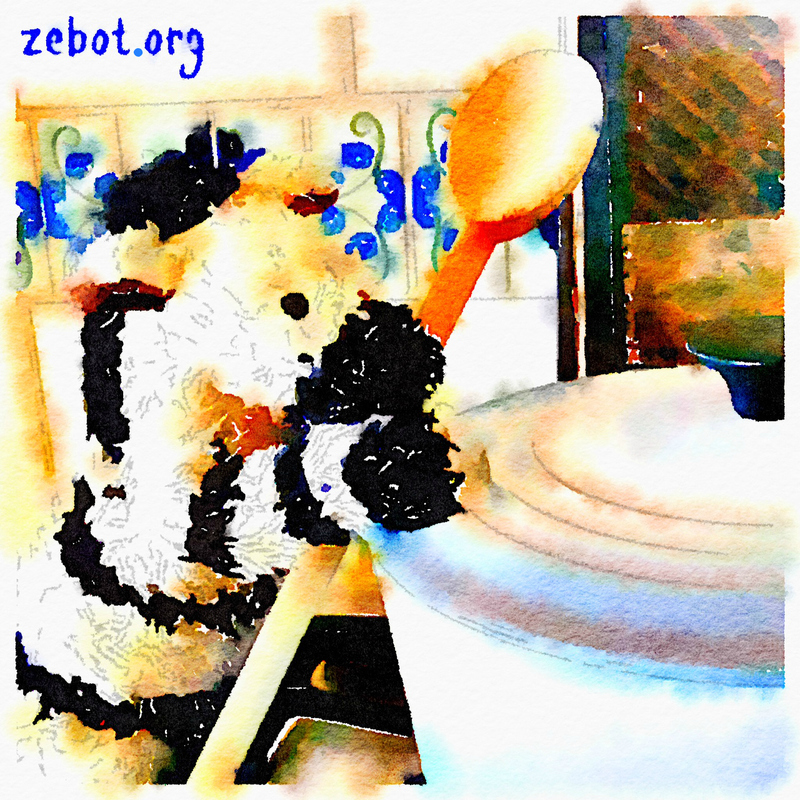 If the moms are feeling nervous, you can bet they’re not going to let go of a drop of milk for a human. 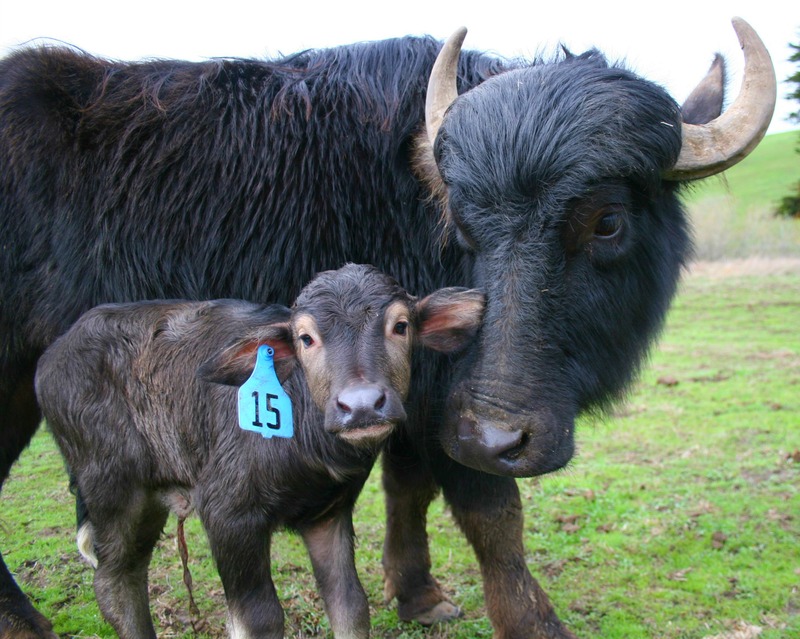 In order for water buffalo moms to let their precious milk flow freely, they need to be relaxed and at ease so their pituitary glands can produce oxytocin, the hormone that creates feelings of bonding, love and trust. “When the love is flowing, so is the milk” is the way Craig likes to put it. 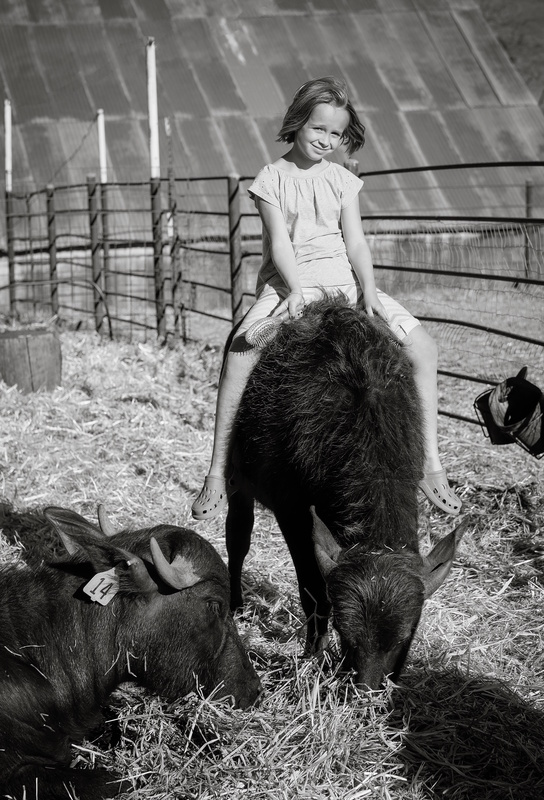 With this in mind, Craig and his wife, Audrey Hitchcock, decided to create a water buffalo paradise that would put the moms’ natural intelligence to work in everyone’s favor. 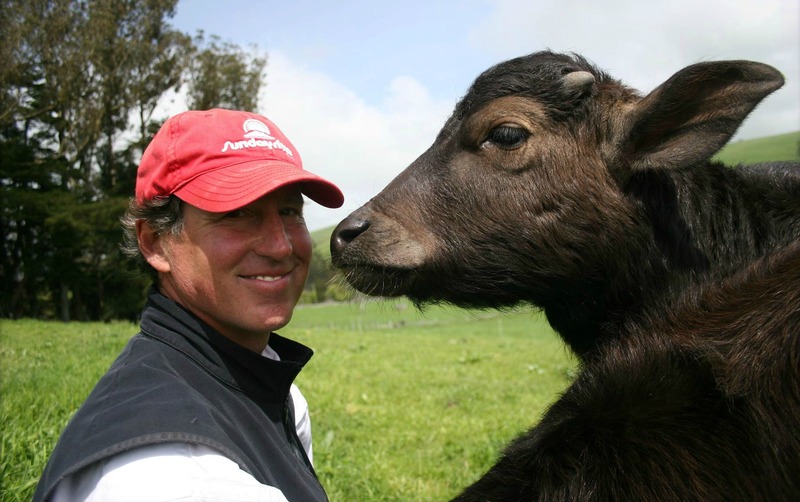 Craig says that the best way to treat a water buffalo is just like you would your best friend. When they feel safe, secure and loved, they cooperate. 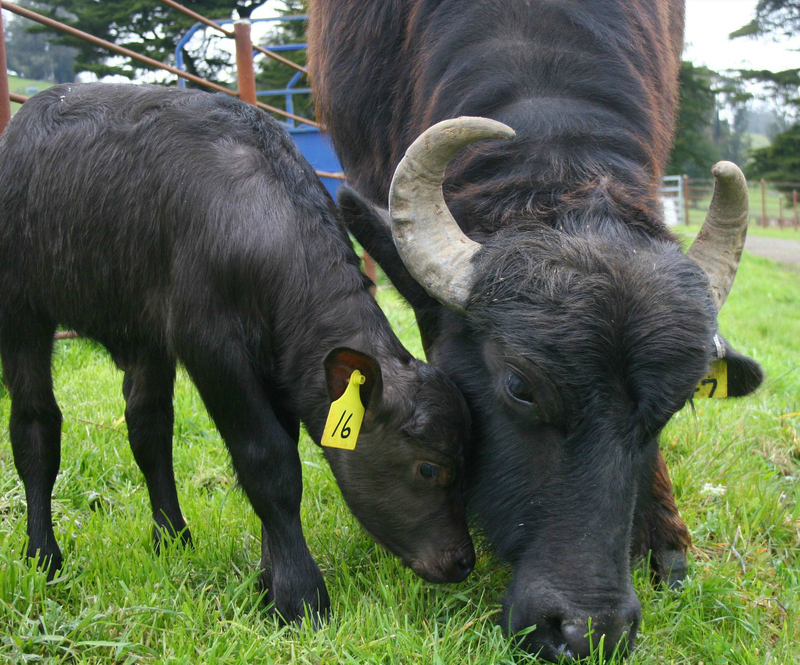 As you might expect, the water buffalo moms give a lot more milk when their calves are nearby. Every morning, Craig brings the buffalo babies down from the pasture and into the milking barn. “While the mothers are being milked, the babies enjoy a breakfast of their favorite hay, then we brush them,” Audrey says. “Just as they do in the pasture, the mothers are continually communicating with their babies. 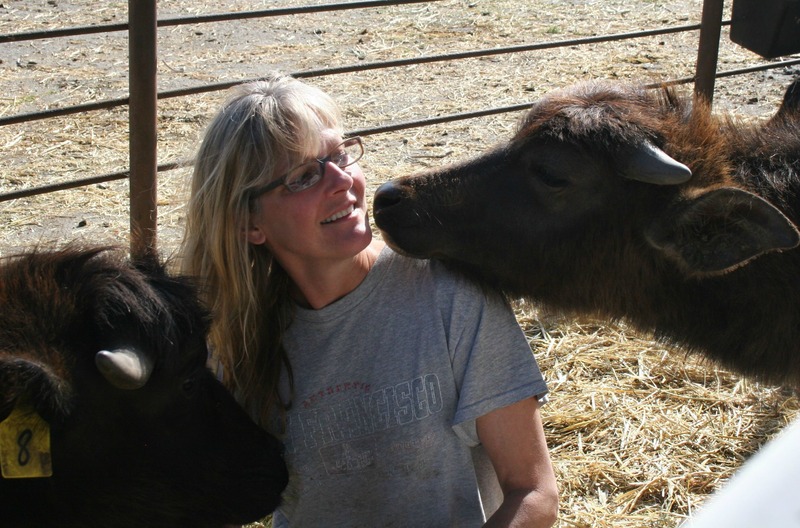 A gentle lick is like a hug—and the moms have a special grunt that I’m absolutely sure means ‘I love you!’ There’s also a bellow, which I think every mom (human and water buffalo) is familiar with! This season, the five mothers of newborn calves are all first-time moms. But since they’ve been in the milking barn as calves when their own mothers were being milked, they’ve seen how it’s done. In a way, this is the water buffalo equivalent of passing down special family recipes and techniques to the next generation. 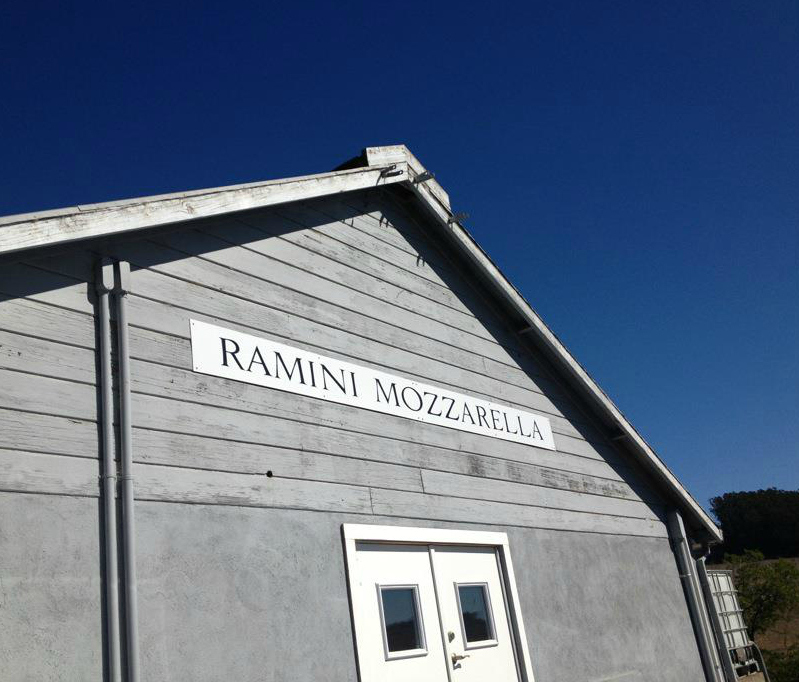 And much the same way as the kitchen is the heart of a home, the milking barn is the heart of Ramini Mozzarella. 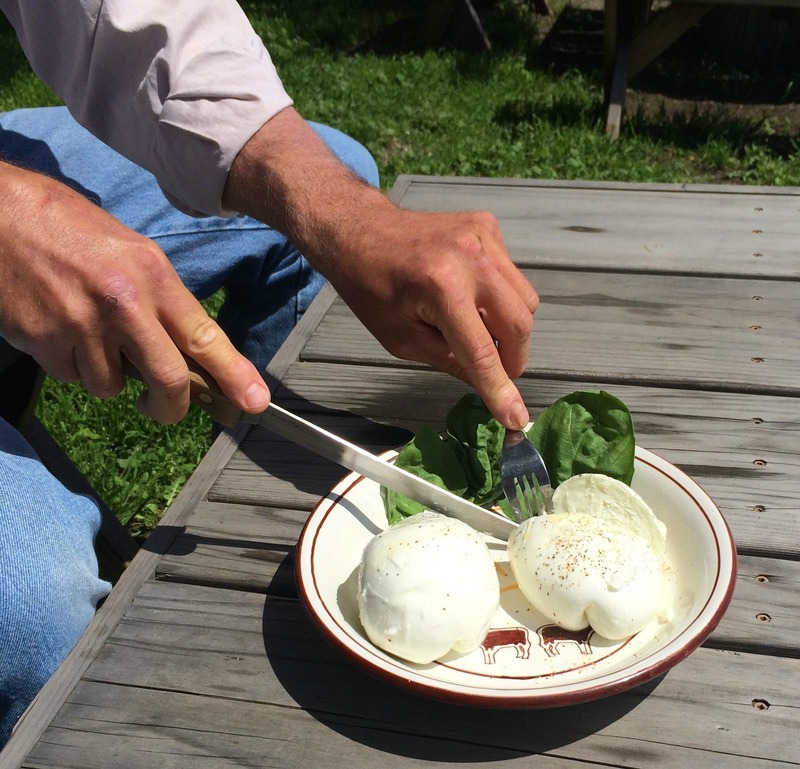 Later, when Craig sets a plate of his freshly made mozzarella on a weathered wooden picnic table beside the pasture, the description “good things to eat” seems like an understatement. The soft, juicy ball of mozzarella di bufala still bears the marks of Craig’s hands, showing how recently the cheese was pulled and shaped. It’s served very simply, with just a sprinkling of sea salt and black pepper and a drizzle of buttery golden olive oil. When we cut into the mozzarella, a creamy juice flows across the plate. Craig says that this is the hallmark of impeccably fresh mozzarella, usually available only in Italy. One taste of the mozzarella confirms this. It reflects the essence of the animals and the land itself, with a fresh, grassy flavor highlighting the creamy richness. 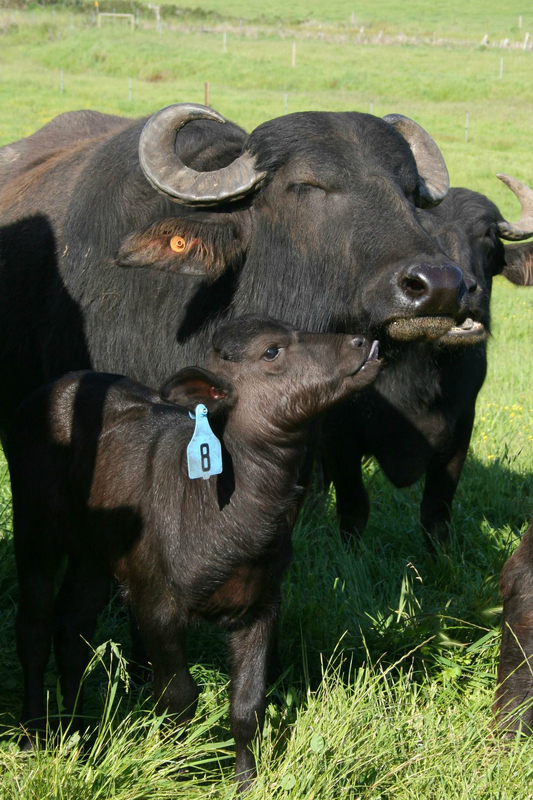 In the sunlit pasture, the water buffalo moms and babies are playing and conversing in their own private language. We enjoy the rest of the cheese as we watch them—and taste the love in every bite. These days, Audrey spends days (and many nights) doing what most moms do: multitasking. You’ll likely find her in the milking barn. 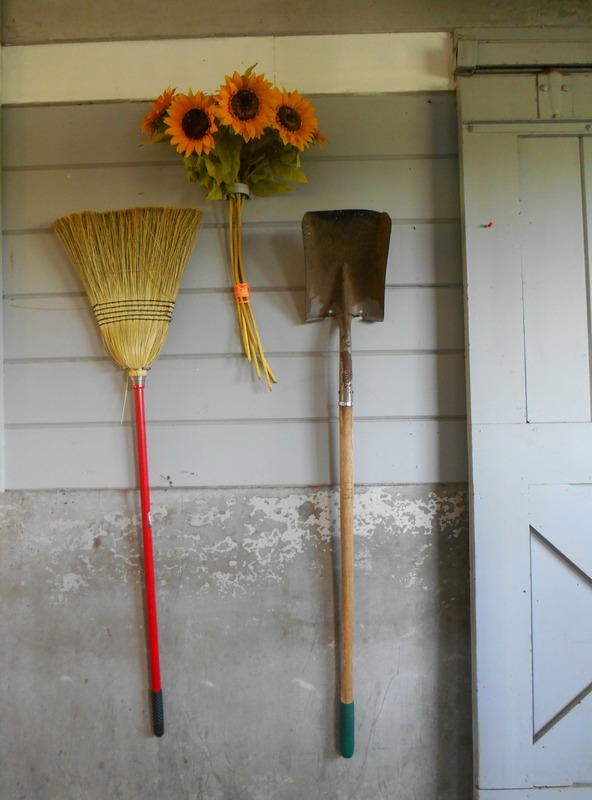 Or in the pasture caring for ‘the girls.’ Or in the creamery making farmstead cheese. Or hosting a farm tour. Or engrossed in some creative combination of all of the aforementioned. But like any truly great mom: Audrey can do it all—and still cheerfully carry on a conversation. When you watch Audrey continue to transform the ingredients of a very challenging life into the nourishing fulfillment of a dream, you begin to realize that this is what love and families are all about. After six months of treatment, Craig was in complete remission—and it looked like the dream was right back on track. 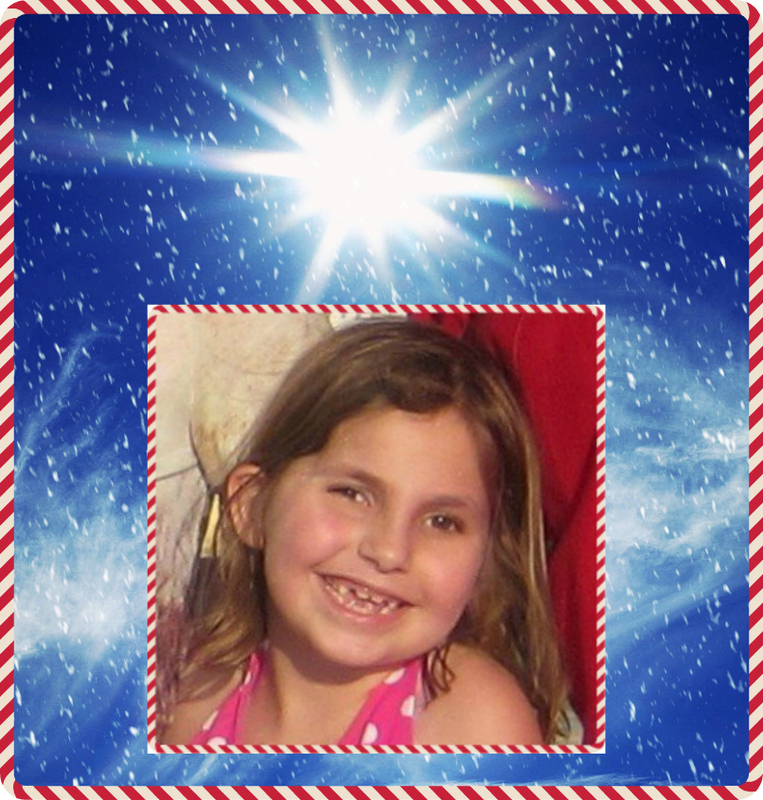 But a month later, the cancer hit again, with scans and tests showing it had spread to his back and spine. Audrey temporarily shut down the dairy so she could be at Craig’s side through the rest of his journey. And then, she was continuing the dream on her own. 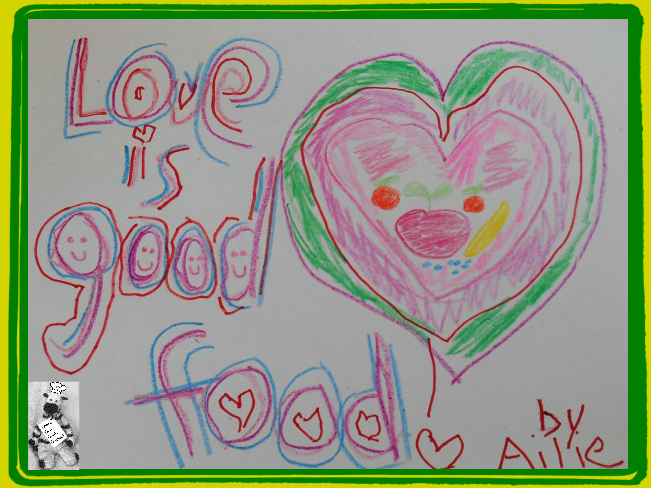 And more than ever, the idea of sharing love has become central to Audrey’s mission. 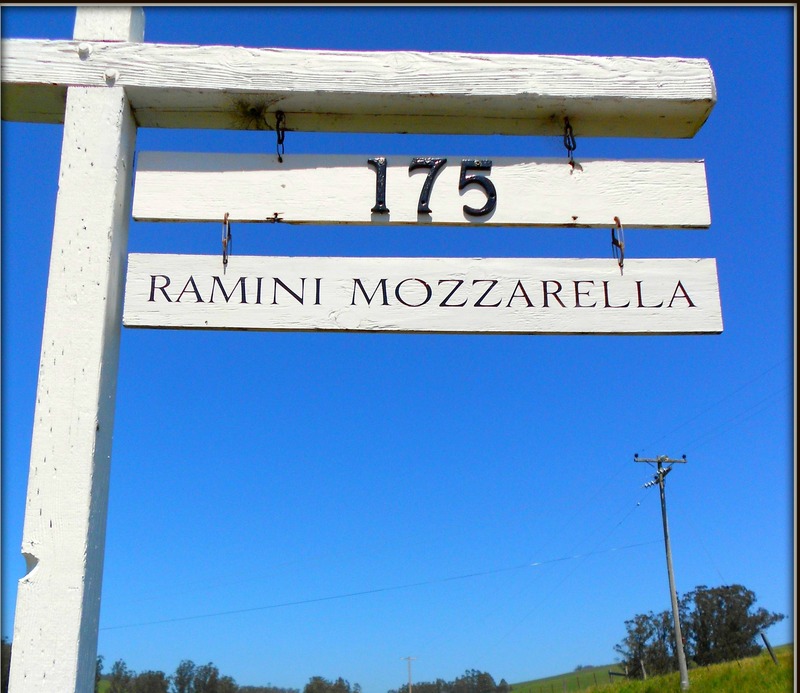 “Our goal was originally to make wonderful, authentic cheese—and we’re back to selling our mozzarella to local restaurants, plus direct to the public, if they can make the trip to the creamery. 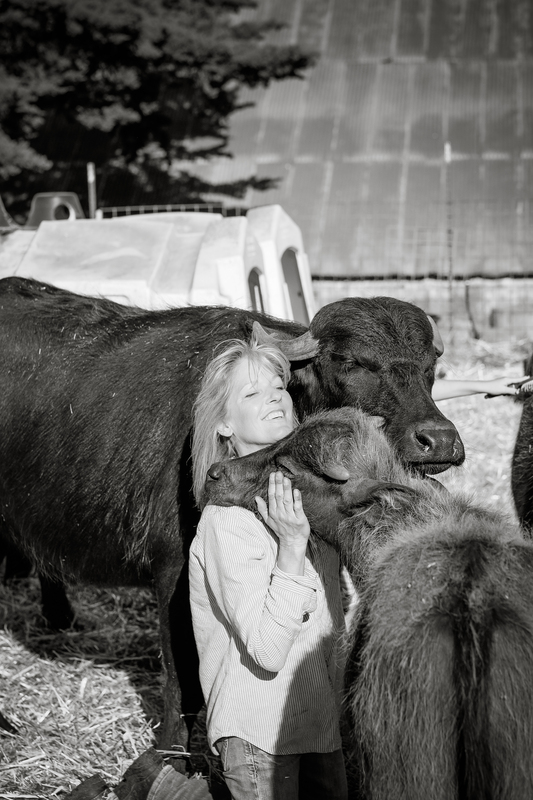 “But as I’ve developed my own deep relationships and special techniques with these very loving (and sometimes intimidating) animals, I’m realizing how much I’d like to teach both children and adults about the water buffalo and our husbandry practices. 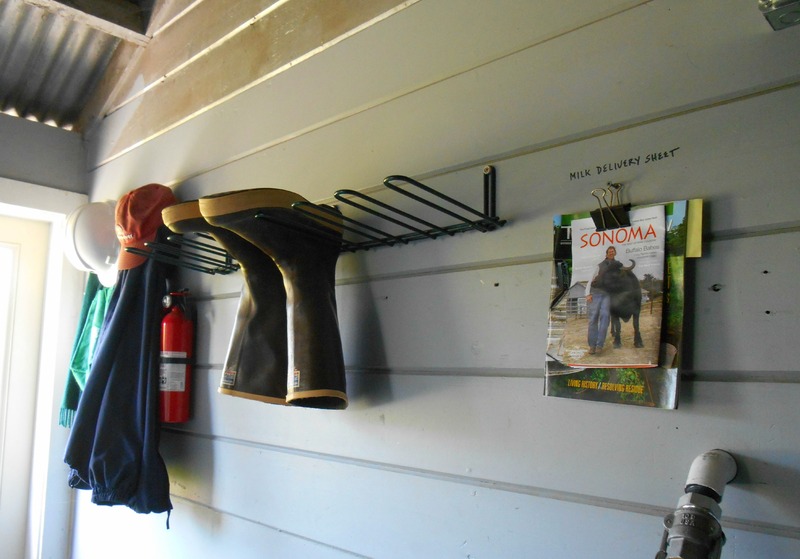 “We train our animals to come in and give milk using the reward system, so each animal has actually made the decision that they want to be milked. In the same way, our babies are hand raised and socialized to love human contact and interaction. 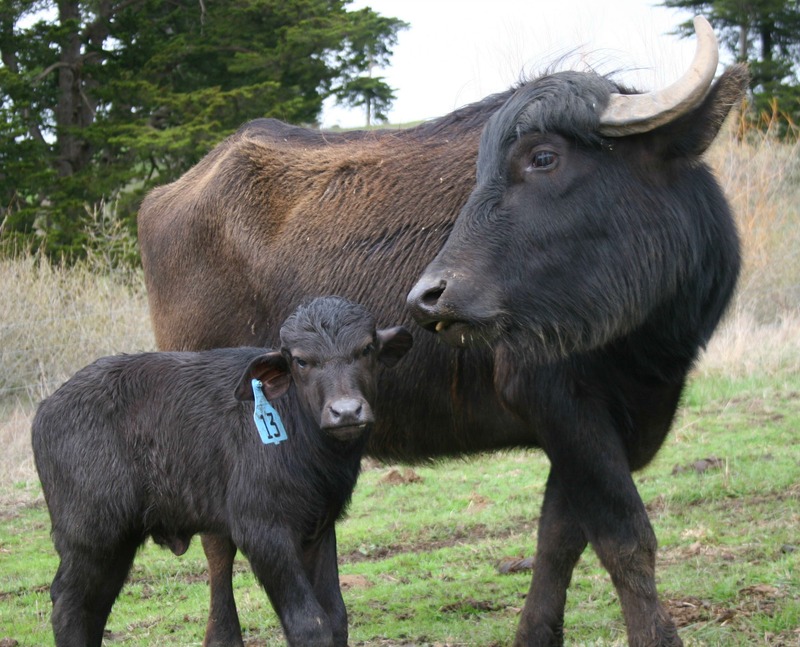 It’s easy to see what Audrey means: the water buffalo moms and calves adore her. And the 2000-lb. stud bull, Van Morrison, does his best to follow her around like a dog, begging to be petted and cuddled and scratched. 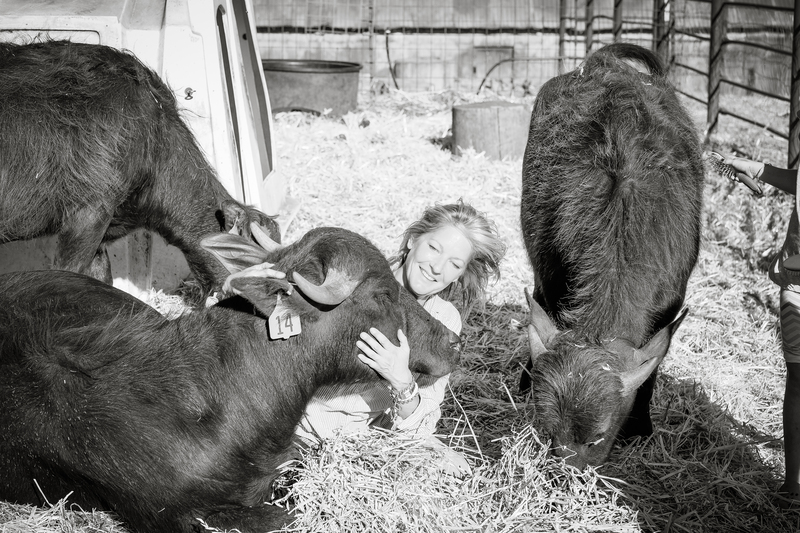 And it’s testimony to Audrey’s loving expertise as a water buffalo mom that her “kids” are also adorably friendly with the visitors who come to tour the farm. Photos courtesy of Audrey Hitchcock. 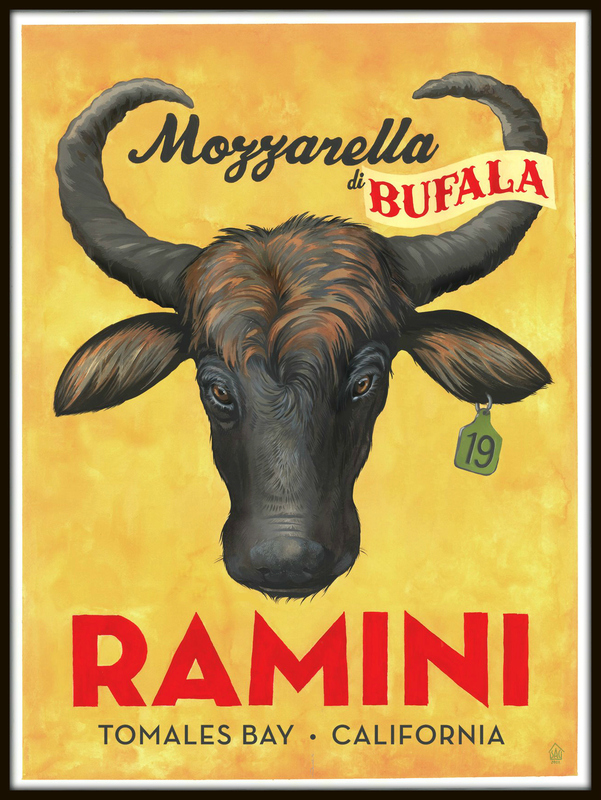 For a kid-friendly look at Ramini Mozzarella (in an exclusive interview given by the water buffalo calves themselves), please check out this link! 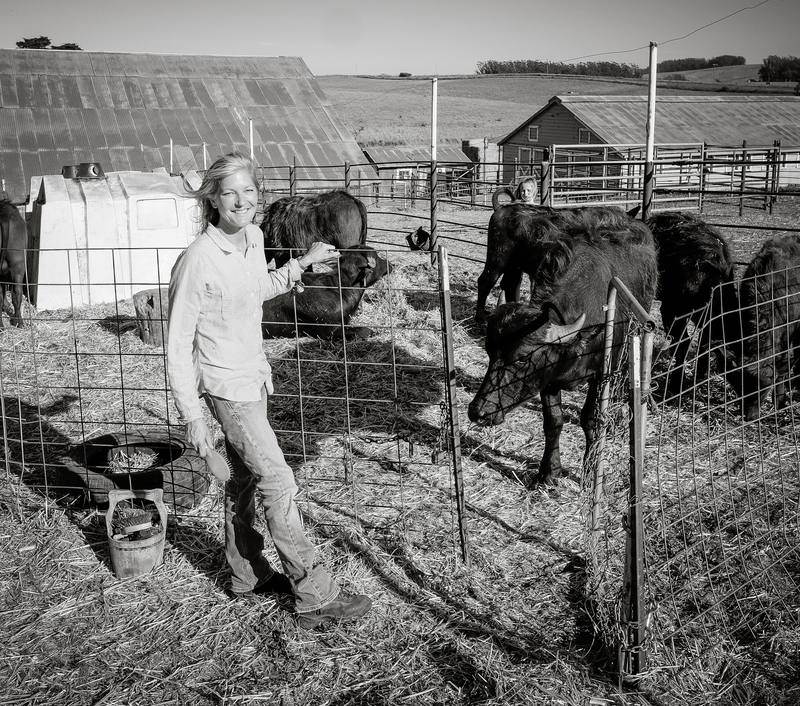 For a virtual meeting with the lovable, loving calves, please check out the video below!